Trikes are a big surprise for most people. Once you’ve ridden one, it is very hard not to add one to your cycling palate. Challenge Trikes are of the “tadpole” genre, meaning two wheels out front, one in back. They are fun, feeling like a human powered sports car! With no balancing required, you feel secure in all types of terrain and circumstances, including Winter commuting. Need to take a break, or look out over some great vista’s? You can do that, or visit with your riding companion from your comfortable recumbent seat, then move on when you’re ready to go again. 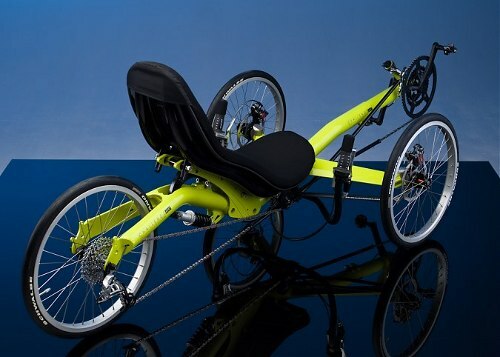 Challenge Trikes have the beautiful frame designs that say “Challenge”, plus some innovations not found elsewhere including the “wings” out front that make it the easiest tadpole trike to step in and out of. Challenge Trikes draw your attention with their shape that is recognizably Challenge without looking for the frame decal. Challenge DNA is evident in the tri-bend frame form with “split tube” rear stays. The down and away wings add to the feeling of freedom as you move forward, gliding through your new unobstructed world. Challenge has designed many of its own components seen throughout the front end systems, refining the excellent handling dynamics of the chassis. Ergonomics and comfort are first rate and a full range of options place your Trike precisely into any application. 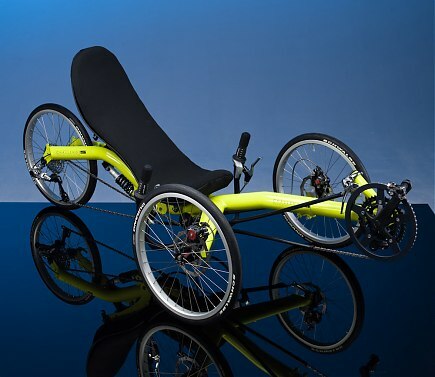 From the Concept Trike, Challenge has continued development with the addition of the Alizé. 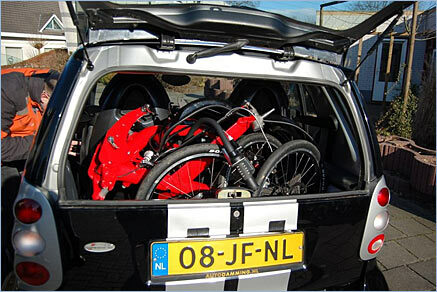 The Alizé brings rear suspension and a fold in half feature that is quick, easy, and compact. Twenty years ago recumbents looked like office chairs on wheels held together with garden fencing. Passers-by would stop and stare. Times have changed. People may still stop and stare but the modern recumbent is where the push for constant cycle innovation is taking place. These bikes are awesome pieces of engineering providing the ultimate in comfort and intelligence in design. Check out these bikes, all original Challenge designs, all geared towards someone in particular. You. Whether you’re touring the globe or country, blasting the daily commute or racetrack, we’ve got your bike. Whether you’re a recumbent virgin or a doyen of the down and low. Challenge build a bike for you and your ride. 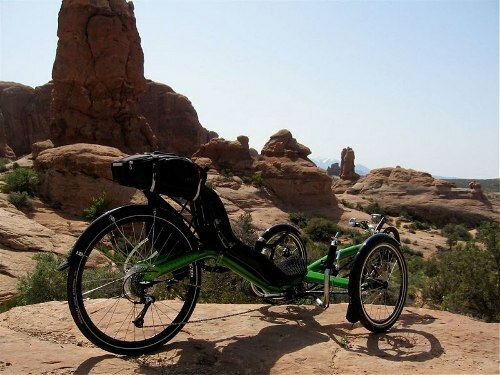 Riding a recumbent is laid back, comfortable and fast. It’s also a turn from the crowd. That’s why Challenge put so much time and effort into good looks as well as technology, and the bikes radiate both. Special colours (or combinations) are available as are special builds. Many of the components we use are produced specifically for Challenge, ensuring not only top quality, but also that your bike is as unique as you are. How to find out which will suit you? Read up on them and make note of your requirements. This website can help you with that. The final choice should be made after a visit to one of our dealers, where you can experience for yourself the difference of seat and pedal height; angle of seat; suspended or not. Our dealers have the skills and knowledge to help you choose. Whatever you choose, choose the Challenge of a lifetime.